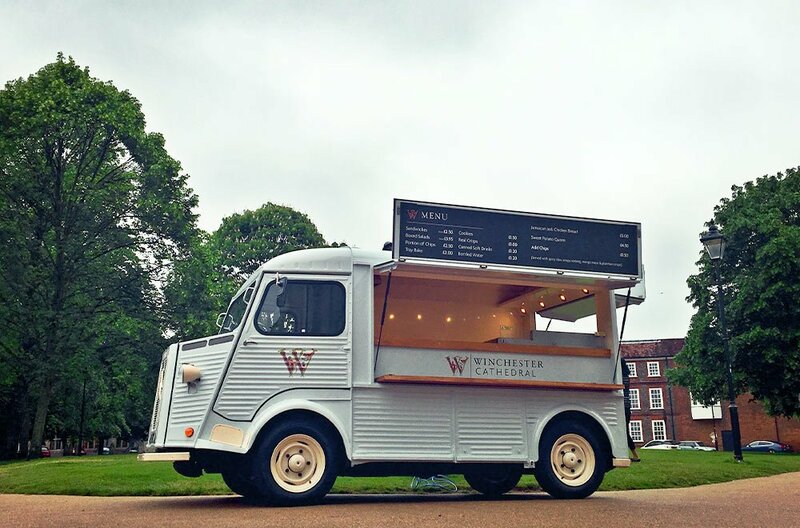 We often work with contract catering company, BaxterStorey. 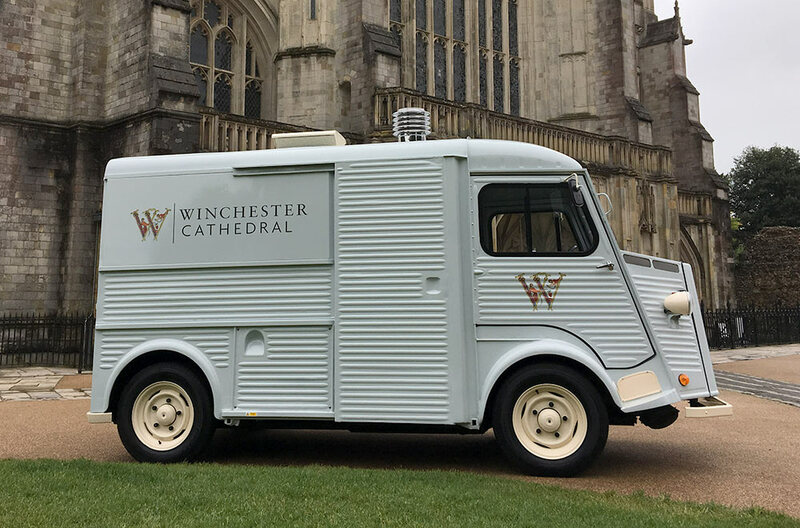 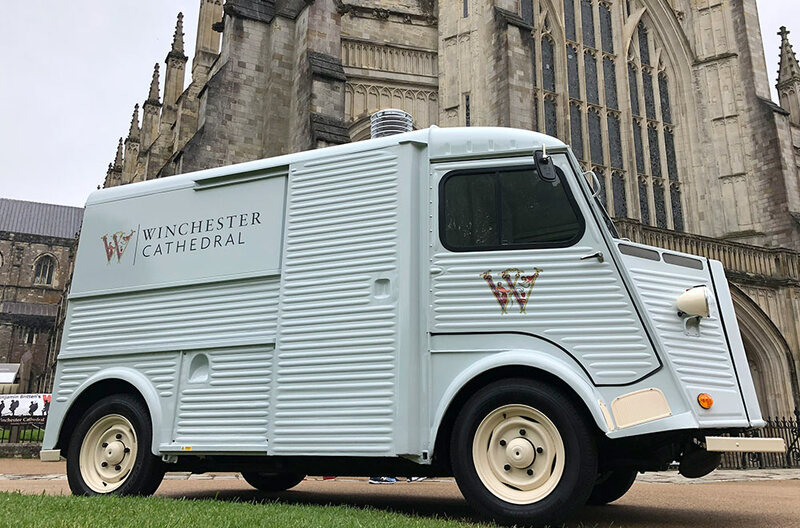 In 2018, they requested that we custom built a vintage mobile unit as an extension to their catering operation at Winchester Cathedral. 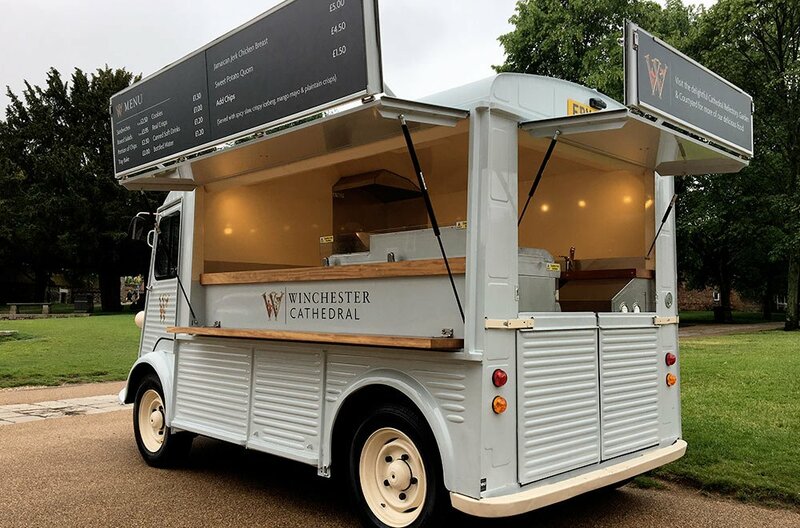 We used a standard size 4.2 meter long van and maximised internal working space to provide a practical and beautiful catering unit which serves visitors to the Cathedral.